I cannot believe today is finally here. 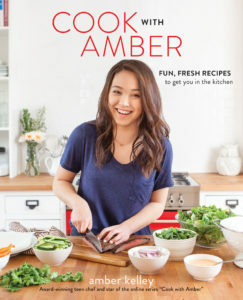 My cookbook launches today! 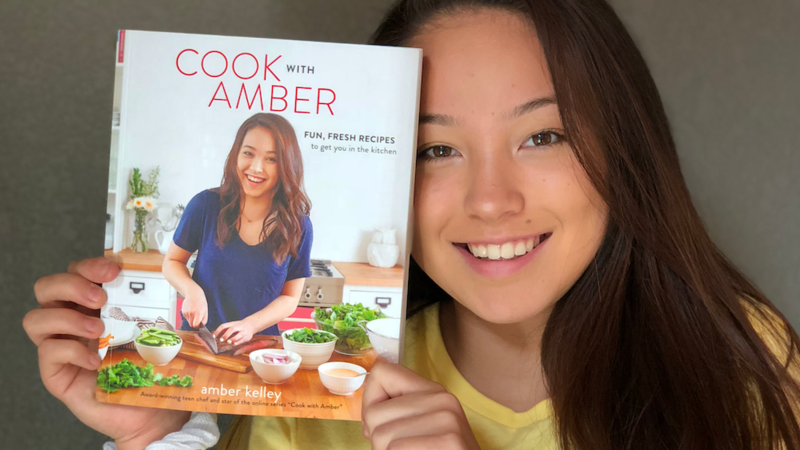 I wrote this book because I love to cook, and I LOVE to eat, but I have also used food to feel empowered, control my moods, keep myself sharp for school tests, and even deal with acne (ugh). These are the recipes I love, my friends and family love, and that I use to make the best out of my teenage years. And now, I can share them with you through this book!! I know it can be hard to find time to make school lunches, so there is an entire section in my book dedicated to taking last nights dinner and transforming it into a school lunch for the next day! This makes it super easy to pack a filling, delicious lunch, and it saves you a ton of time! I am a total snacker, so when I have a ton of healthy and delicious snack options, I don’t feel guilty when I get the munchies. I love making big batches of these snacks, and storing them in the pantry or freezer so I have them on hand at all times. This just gives you a brief overview of the 80+ recipes, but my main goal and hope is that these inspire you to get in the kitchen and HAVE FUN. I had NO IDEA how much work goes into creating a cookbook. We really wanted this book to be absolutely perfect for you guys, so not just me, but an entire team of people spent months trying to make this book easy to read, use, and follow along with. Thank you to the team of people and Running Press who put all their hard work and long hours into making this book a reality. I am so thankful for you all. A SPECIAL THANK YOU to you all who have stuck with me over the years, you have really helped to shape this book and supported me from the beginning. Because at the end of the day, this book is for you guys! I am so excited for you guys to get your hands on this book, and you can do that by clicking the links below. So if you are a kid, tween or teen, or you know of one, then get this book! I think this book is so different from other books out there, and honestly it’s one that we all need. So spread the word! I love you guys so much!